The Career Development Services (CDS) team has been hard at work putting together the following events to help expand your business knowledge, find new job opportunities, and meet your career goals. These will be taking place throughout the rest of Session 3 and all of Session 4. As we always say, there’s no better time than now to start thinking about career preparation! If you want to attend any of these sessions or have any questions for us here in the department, call us at 215.670.9202 or email us at CDS@Peirce.edu. 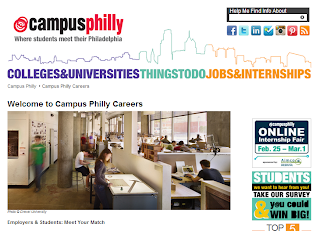 Campus Philly Online Internship Fair. An internship is a great way to give you relevant, hands-on experience for future employment opportunities. 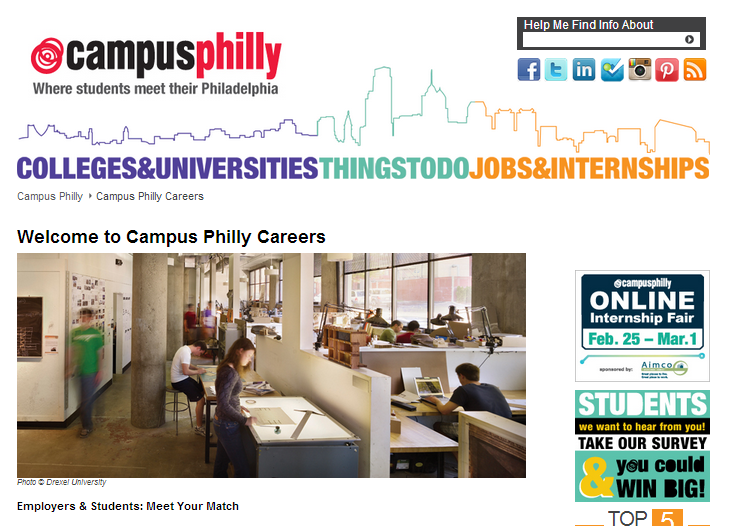 So our friends at Campus Philly are hosting an online internship job fair where you’ll be able to find hundreds of internship opportunities in one place. Here’s how you can participate: Just create an account, upload your updated resume, and keep your eyes on the site for internships that will be posted daily. If you’d like some help updating your resume before the event, we’d be happy to give you some pointers. Contact us at 215.670.9202 or CDS@Peirce.edu. Take advantage of this event and connect with employers in the digital world! Details: Held online from Feb. 25 to March 1. No RVSP is required. Are you wondering how to present yourself in a business setting? During our Professionalism 101 workshop, we will discuss the unwritten rules of business. We’ll cover what to order during a business meal, how to dress on casual Fridays, how to exude a professional image, and more. Join us to learn about the professional things no one tells you, but everyone expects you to know! Details: Held on March 15 from 10 a.m. to 12 p.m in room 69. Please RVSP by March 14. If you are a military veteran or have prior military experience, this event was developed just for you! At our Veterans Career Workshop, we’ll help you find the civilian career that is best suited for you. Facilitated by Tim Meserve, Executive Director of the Philadelphia, Veterans Multi-Service & Education Center, Inc., we’ll help you assess your prior knowledge and skills to identify relevant employment opportunities. We’ll also teach you how to translate your transferable military skills and enhance your training and credentials in order to be successful. Details: Held on March 21 from 5:30 p.m. to 7:30 p.m. in rooms 51 and 52. Please RVSP to www.Peirce.edu/Vet by March 19. These women will share personal and professional challenges they’ve encountered, as well as how they overcame them. Don’t miss it! Details: Held on April 16 from 5:30 p.m. to 8 p.m. in rooms 51 and 52. Please RSVP to www.Peirce.edu/WIL by April 9. If the workshop you’re looking for isn’t available or you’d like to learn more about a specific career-related topic, please contact us at 888.467.3472, ext. 9202, or CDS@peirce.edu to make an appointment for a one-on-one session with a counselor.